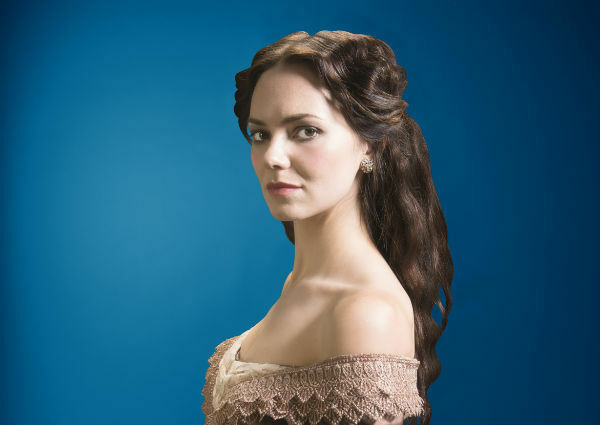 TV star Kara Tointon is headlining a new touring production of Victorian psychological thriller Gaslight. The former EastEnders actress, who gained acclaim for her role in Pygmalion as Eliza Doolittle in the West End, will star alongside Keith Allen and Rupert Young as the play heads out on a UK tour, starting off at New Alexandra Theatre in Birmingham. It will stay in Birmingham from January 6 to 14, 2017 when audiences will experience Patrick Hamilton's story about Bella Manningham (played by Tointon), who is perturbed by the disappearance of familiar objects, mysterious footsteps overhead and the ghostly flickering of the living room gaslight when she is home alone. Bella fears that she is losing her mind but the surprise arrival of retired Detective Rough leads to a shocking discovery that will shake her respectable Victorian marriage to its core. Rupert Young of BBC 1's Merlin joins Kara as Bella's husband Jack Manningham and the multi-talented Keith Allen is cast in the role of Detective Rough. A 1944 film adaptation of Gaslight was hugely successful as Bella was memorably portrayed by Oscar winner Ingrid Bergman. This production is directed by Anthony Banks, who was an associate director at the National Theatre until 2014, where he commissioned and developed one hundred new plays for NT Connections. He also directed a National Theatre production of Lucinda Coxon's The Eternal Not and Michael Lesslie's Prince of Denmark. The highly suspenseful play is written by one of the 20th Century's most renowned British writers, Patrick Hamilton whose works also include the chilling Rope - a story successfully adapted for the screen by Alfred Hitchcock. Tickets cost from £18 to £43.50 and are available from the theatre website or by calling 0844 871 3011.